The key to this unusual cocktail is hibiscus syrup. I like those made by Fruitlab and Wild Hibiscus, but a number of other brands also offer versions of this rosy-hued, sweet-tart syrup. 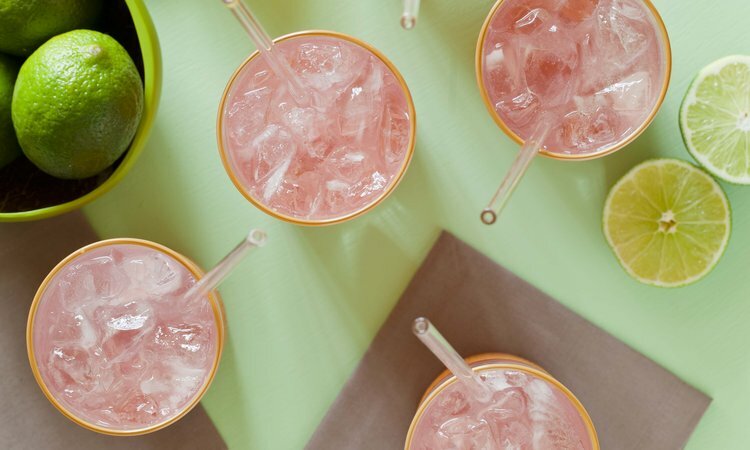 Although the drink doesn’t require a garnish because it has such an attractive color and balanced flavor, consider adorning the serving table with decorative flowers and limes or lime halves. In a pitcher, that holds at least 11 cups, combine the rum, hibiscus syrup, and lime juice and stir until thoroughly blended. Add the ice and stir to chill. Pour in the ginger beer and stir gently. To serve, pour into tall glasses, such as Collins glasses, and offer straws. Newman, Kara. (2013). Cocktails for a Crowd. San Francisco, CA: Chronicle Books LLC.